Steel - Environmental Quality Management, Inc.
EQM had provided environmental compliance, engineering, and permitting services to the steel industry since 1990. 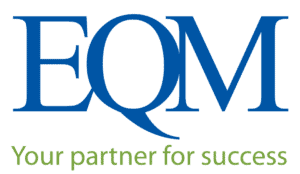 The strength of EQM rests firmly in our employees’ technical abilities and experience, and our relationships with our clients. Our company has been providing environmental compliance, engineering, and permitting services to the steel industry since 1990. Many of our employees have been consulting to these industries for over 30 years. We are committed to working with our clients to develop practical solutions to their projects from planning and permitting, to system design and installation, to compliance auditing and testing. Our professionals integrate our many services and proven experience to provide cost-effective solutions to critical issues. Many of our professionals have developed a unique expertise and perspective with respect to environmental and engineering issues unique to the steel industry through educational training and hands-on operations experience gained through the support of virtually every steel and cement process currently in operation. Engineering design of emission capture system for a Blast Furnace Cast House. Engineering evaluation of LMS evacuation and baghouse system for USS/KOBE Steel in Ohio. Evaluation of handling and recycling alternatives for solid waste residues at Burns Harbor plant in Indiana. Development of SARA 313/TRI guidance document for the Steel Manufacturers Association. Contamination analysis of river bed sediment, remedial design, and oversight of the Mahoning River in Ohio. Evaluation of ESP performance in Michigan. Evaluation of visible emission exceedances at a Basic Oxygen Process (BOP) in Illinois. Scrubber evaluations at steelmaking facilities in Indiana, Illinois, West Virginia, and Pennsylvania. Expert witness testimony in support of steel clients in EPA Regions 4 and 5. Air compliance monitoring for pickling, galvanizing, and coating operations in a 3-state area. Process Safety Management for Coke Oven By-Products and Blast Furnaces in a 3-state area.